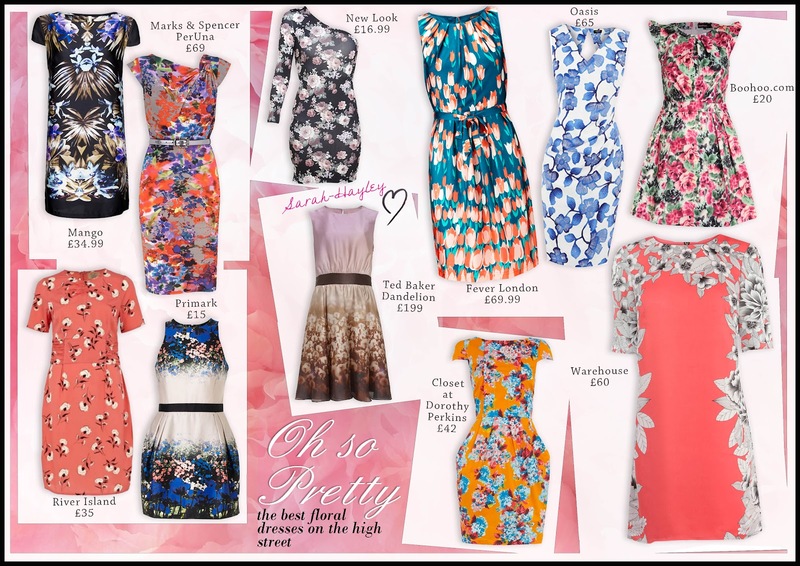 Spring/Summer's floral prints are romantic and as sensuous as ever. The silhouettes are mostly 50s in style with nipped in waists coupled with a full or pencil skirt. There are also easy to wear shifts, worn loose or tied at the waist. I have fallen for this Dandelion Print Dress by Ted Baker. Not only does it conjure up images of me as a child, blowing the clocks in the meadow, but it is a perfect trans-seasonal day to night dress.